Optimize bandwidth consumption within your enterprise network while streaming highly attended video events. 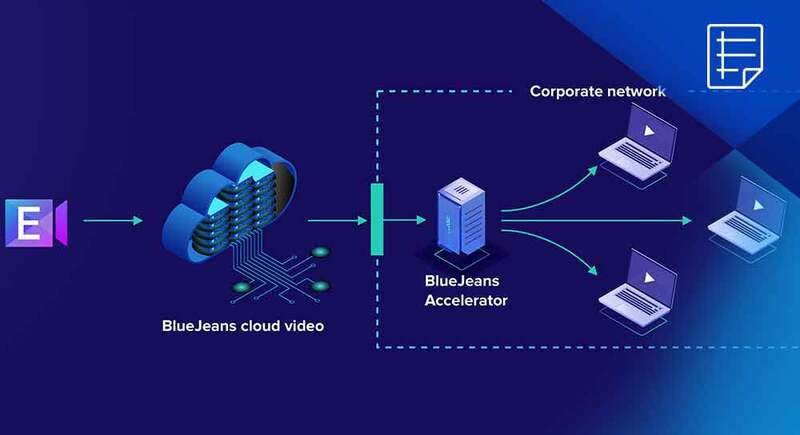 BlueJeans Accelerator is a caching engine that minimizes network stress while maximizing video resolution. Prevent network bottlenecks and improve the viewing experience by consolidating multiple video streams into a single stream from the BlueJeans cloud.